Many companies have matching gift programs set up to encourage their employees to donate to charities. If your company has a matching gift program, you can double or even triple your donation to SWIRC. If you have any questions, our Donor Relations Department will be happy to assist you with your company's Matching Gift program. Please contact Donor Relations at (866) 228-0124. 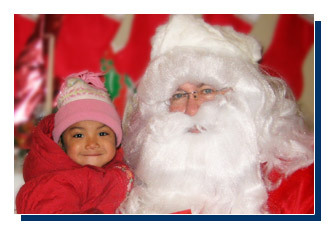 Your gift helps provide vital services such as our Christmas service . Visit our Frequently Asked Questions (FAQ) section! Give us a chance to share our mission with you. Give a gift of hope to a child or Elder living on impoverished remote Native American reservations in the Southwest. So often, these vulnerable citizens are faced with a lack of hope for the future and now you can choose the perfect gift to brighten their lives. Did you know that it is possible to assist Native Americans without it costing you anything during your lifetime.